Canada has long been a preferred dream destination for skilled workers across the globe in a pursuit of obtaining the better standard of living. From time immemorial Canada has grabbed the attention of more number of immigrants with its varied topography, mountainous maritime regions, multiculturalism, history, for honours that it has attained, art and culture, friendly and tranquil ambience, funding opportunities for artists, organisations and athletes, snow bound regions and many other. Mulling on to migrate to Canada and to enjoy its stunning attractions? Then gain detailed cognizance on its visa options to make your immigration successful. With an intention to attract more number of overseas applicants and to offer better prosperity and success for skilled individuals, its government has newly promulgated a scheme called Canada Express Entry to help overseas nationals to take advantage of its expedited immigration process. Alongside its sizable number of resplendent natural attractions, this vibrant, cultured country is also widely known for attractive career and employment prospects. Thus, every year skilled aspirants of various countries culture, castes and religions apply for Canada skilled immigration for better career prospects. A foreign skilled worker who possess special skills, as well as abilities and willing to start his or her new life in this prosperous nation, can make use of its recently devised Canada immigration system called Express entry by CIC to immigrate effortlessly. 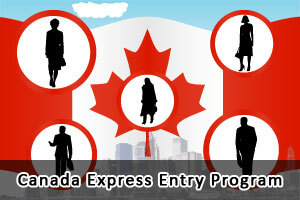 What is an express entry? Express entry is the new version of an expression of interest where an overseas skilled worker is ranked in a pool and is permitted to apply for Canadian permanent residency without any cap. Citizenship and Immigration Canada has newly introduced CRS (Comprehensive Ranking System) to rank and calculate the applicants according to their credentials.